Tailoring is known as the profession in which clothes are made and repaired by a professional. Although it sounds simple, it is a task that not everyone can perform. Tailoring is an art and when it comes to the art of making you look and feel good, no one does it better than Red Cap Cleaners. Something to consider when selecting a tailor is experience and customer satisfaction. For more than 60 years we have offered the Poughkeepsie tailoring service and have had thousands of satisfied customers. Time changes and with it so do we. A variety of trends and styles come and go as the years pass so it is important to stay on top of fashion. Red Cap’s knowledge of the industry and overall customer satisfaction is what sets us apart from the rest. Knowing our customers is the key to being able to deliver such effective products and we love to put smiles on all of our customers’ faces. 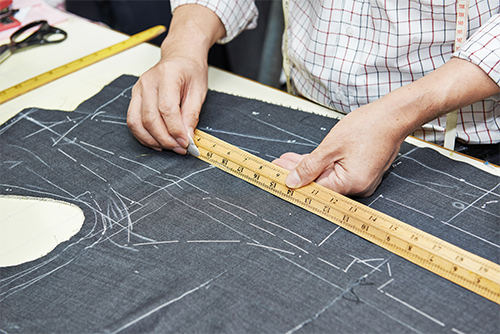 From basic alterations, to complete repairs, Red cap works hard to earn your business and be your go to guys for all of your Poughkeepsie tailoring needs. We are as knowledgeable as we are friendly and we will make sure you leave Red Cap cleaners looking your best. We offer a variety of services in four locations so commuting won’t be an issue. With three locations in Poughkeepsie and one in Hyde Park you can be sure you will be getting the best value at any one of our locations. Our expert tailors not only make Poughkeepsie tailoring easy but also provide the best value for your dollar. If you’re in need of Poughkeepsie tailoring, you’ve come to the right place. Since 1950, Red Cap Cleaners has been providing tailoring services and clothing advice to the residents and businesses of Poughkeepsie New York. Our staff and crews of knowledgeable tailors have seen it all. From hot pants and bell bottomed trousers in the 70s to the hipster fashion worn today we have just the right combination of experience to stay with Poughkeepsie Tailoring trends and provide advice that will prove to be helpful next time you go clothes shopping. Skip the department store tailors and look for a tailor with experience and reputation in the greater Poughkeepsie area. Department store tailors are usually in a hurry and won’t pay as much attention to your garments as a privately owned tailor would. Come and tell us what bothers you about the garment and ask us what the alteration should be. Many people often ask a tailor to perform an alteration not knowing what the result will be. Ask what would look best and expect the best results. Clothing is made in a great variety of sizes that are meant to fit everyone as perfectly as possible. If you’re a special size, such is not the case. Clothing might not fit you and you continue to wear garments that are either one size too small or too large to be comfortable. If you feel like clothing hasn’t been made keeping you in mind, you’re one of the thousands of New Yorkers that visita tailor every year. 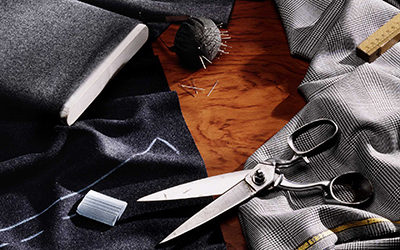 A Poughkeepsie tailor might be the answer you’ve been looking for. Red Cap Cleaners has kept Poughkeepsie NY and surrounding areas fit and well dressed for over 60 years. Our experience and customer satisfaction has made us the Poughkeepsie tailor you have known to trust. Don’t continue to settle for clothing that you know will not fit. Come on down to Red Cap Cleaners for a fitting and estimate. Those old pairs of jeans that you used to love but are no longer your size, don’t keep them locked up, bring them to Red Cap Cleaners, your local Poughkeepsie Tailor and see what everyone has been talking about. With 4 convenient locations, you can be sure we know quality and convenience more than any other Poughkeepsie tailor does. 3 locations in Poughkeepsie and one in Hyde Park have made us the authority to ensure you never have to settle for uncomfortable clothing again. Here at Red Cap Cleaners our objective is and always has been to satisfy the individual needs of our clients. We provide helpful advice and our knowledge of the industry gives us the competitive advantage in being the authority for all your tailoring needs. A Poughkeepsie tailor needs to be aware of fashion trends in order to provide helpful advice. Our teams of tailors in each of our 4 locations are experts and have seen it all. We are based in the heart of Poughkeepsie and have 4 locations for your comfort. Red Cap Cleaners seeks to provide quality alternatives to higher priced designer clothing. Our collections are significantly cheaper and are made specifically for each of our clients. For more information about one of our locations near you and to talk to a Poughkeepsie tailor, contact Red Cap Cleaners today. Our collections are of the highest quality and Red Cap’s prices are substantially lower than designer stores. Contacting a Poughkeepsie tailor will have know that purchasing a suit at Red Cap will save you at least 30% on each suit. 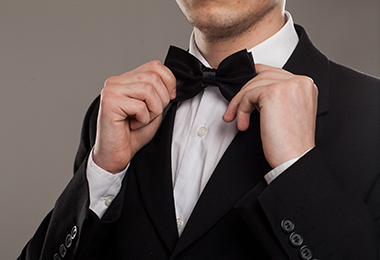 Help us dress you for any occasion and we will guarantee that you look good. Red Cap Cleaners guarantee excellent service at more than reasonable prices. Using high-end fabrics we combine experience to provide optimum quality garments for any occasion. Reliable and trustworthy Poughkeepsie tailors are hard to find. You need someone that is both experienced and responsible to make sure you look good.